Recently the Russian ambassador in Warsaw, Sergei Andreyev, gave an interview on a Polish television station about the lamentable state of Polish-Russian relations. World War II came up as a point of discussion, as it often does these days in the western Mainstream Media. The Red Army accounted for 80% or more of all the casualties inflicted on the Wehrmacht during the war. But don’t ask for gratitude. Hooligans recently desecrated a Red Army cemetery in eastern Poland. Lucky for them dead soldiers can’t defend themselves. Red Army monuments are being torn down in Poland where Soviet symbols are banned, whilst in the Baltic states local residents offer flowers and beer to Nazi SS veterans. And what can one say about the Ukraine, now a fascist state, where a murderous Nazi collaborator, Stepan Bandera, has been elevated to the status of father of the nation. «Poland repeatedly blocked the creation of a coalition against Nazi Germany. Therefore, Poland can be said to be partly responsible for the catastrophe which occurred in September, 1939». The Polish foreign minister, Grzegorz Schetyna, reacted with indignation and summoned the ambassador to the foreign ministry to explain himself. «Unjust and untrue», claimed Schetyna: «These are deplorable statements, arising from a failure to understand history». But how well does the Polish foreign minister know the history of his country? It was this same Mr Schetyna who claimed that Ukrainians, not the Red Army, liberated Auschwitz, the Nazi death camp. In fact, there were Ukrainians in Poland in 1944 and 1945, but they were renegades, Nazi collaborators killing Poles. So how accurate was Ambassador Andreyev’s comment about Polish policy during the interwar years? In January 1934 Poland signed a non-aggression pact with Nazi Germany, almost at the same time that the USSR began its long efforts to organise an anti-Nazi defensive alliance. It was a blow against Soviet collective security even as Maksim M. Litvinov, the Commissar for Foreign Affairs, sought to strengthen relations with Poland. Litvinov warned Polish Foreign Minister, Józef Beck, of the danger of courting Nazi Germany, but Beck would not listen. The French, who had an alliance with Poland, were not happy with the turn in Polish policy. «We will count on Russia», French foreign minister Louis Barthou said in 1934, «and not bother any more about Poland». Barthou was assassinated a short time later, and the French never followed through on dropping Poland, though Barthou might have had the courage to do it. The Poles made excuses to the French. Russia is the enemy. Every step France takes toward the USSR, advised the French ambassador in Warsaw, will provoke a Polish step toward Nazi Germany. The Polish elite was badly infected with Russophobia, a condition from which it still suffers today. In 1934-1935 as Commissar Litvinov sought to consolidate European collective security, Poland resisted every step of the way. The Poles were not the only saboteurs however.Pierre Laval, Barthou’s successor as foreign minister, was a dyed-in-the-wool Sovietophobe and future Nazi collaborator, who preferred better relations with Nazi Germany than collective security in cooperation with the USSR. Litvinov continued nevertheless, attempting to negotiate a collective security pact in Eastern Europe, which Foreign Minister Beck rejected, and then a mutual assistance pact with France. Laval eventually agreed but only after he had reduced the pact to an empty shell. Poland was not the only place where Sovietophobia swayed foreign policy. Then came the Czechoslovak crisis in 1938. In the spring of that year everyone could see the writing on the wall. Czechoslovakia was in Hitler’s gun sights. In May the French foreign minister asked the Polish ambassador in Paris what Poland would do in the event of a crisis. «We’ll not move», came the reply. 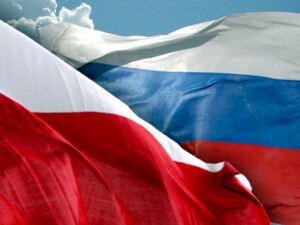 Poland considers «the Russians to be enemies…», said the ambassador, «we will oppose by force» any attempt by the USSR to go to the aid of Czechoslovakia across Polish territory on land or in the air. Russia, no mattered who governed it, is «enemy no. 1», said Field Marshal Edward Rydz-Śmigły: «If the German remains an adversary, he is not less a European and a man of order; for Poles, the Russian is a barbarian, an Asiatic, a corrupt and poisonous element, with whom any contact is perilous and any compromise, lethal». Don’t push us, said the Poles, or we will side with Nazi Germany. Soviet diplomats launched a press campaign to warn the Poles of their folly, but to no avail. «Not only can we not count on Polish support», French Premier Édouard Daladier confessed at the time, «but we have no faith that Poland will not strike [us] in the back». «Tant pis pour la Pologne – tough luck for Poland», said one French general, if Warsaw sides with Hitler. Not that France could boast of being a faithful ally through thick and thin – just ask the Czechoslovaks – but the Poles were like a cartoon caricature of the proverbial snake in the grass. The French ambassador in Berlin told his Soviet counterpart that the Polish government was «clearly helping Germany» to destabilise Czechoslovakia. The issue of Teschen, a Czechoslovak district with a large Polish population, was the bee in Warsaw’s bonnet. If Hitler gets the German populated Sudeten territories, said Polish diplomats, we won’t be satisfied with empty hands. We want Teschen. They got it too because Britain and France sold out Czechoslovakia at Munich. What a tawdry spectacle of funk and betrayal. Poland was Hitler’s accomplice in 1938 before Poland became Hitler’s victim a year later. Soviet diplomats, and not least of all Stalin, had no illusions about Poland or France and Britain for that matter, but they made one last try in 1939 to establish an anti-Nazi war-fighting alliance. Even then Poland played the role of spoiler. In January the French ambassador in Warsaw reported that many Poles, forced to a choice between Germany and the USSR, would opt for Berlin. «Let them go; call their bluff» would have been the right response. In late March the Polish government refused to sign a Four Power declaration with the USSR to consult in the event of a threat to the independence of another European state. Then, in one last-ditch effort in April 1939, Litvinov proposed to Paris and London a political and military alliance against Nazi Germany. And still the Anglo-French dragged their feet. British Foreign Office officials sneered at and belittled Litvinov. That was enough for Stalin, and he sacked Litvinov in early May, naming Vyacheslav M. Molotov to replace him. One of Molotov’s first acts was to offer a hand to Warsaw. The door to Soviet-Polish collaboration was still open. «You may hint that if Poland wishes», Molotov cabled to Warsaw, «the USSR can give them support». Within 24 hours the Poles slammed the open door shut, refusing any cooperation with Moscow. The last act of Polish self-destruction came in August 1939 when French and British delegations went to Moscow to discuss an anti-Nazi alliance. «Will the Poles cooperate?» the Soviet side wanted to know. «Would the British?» was a more pertinent question. «Go very slowly» said British directives for its delegation. Fast or slow did not matter to the Poles, they gave the same negative response they always gave when it came to cooperation with the USSR against Nazi Germany. Remember how Field Marshal Rydz-Śmigły put it: Russians are «barbarians» and «Asiatics». 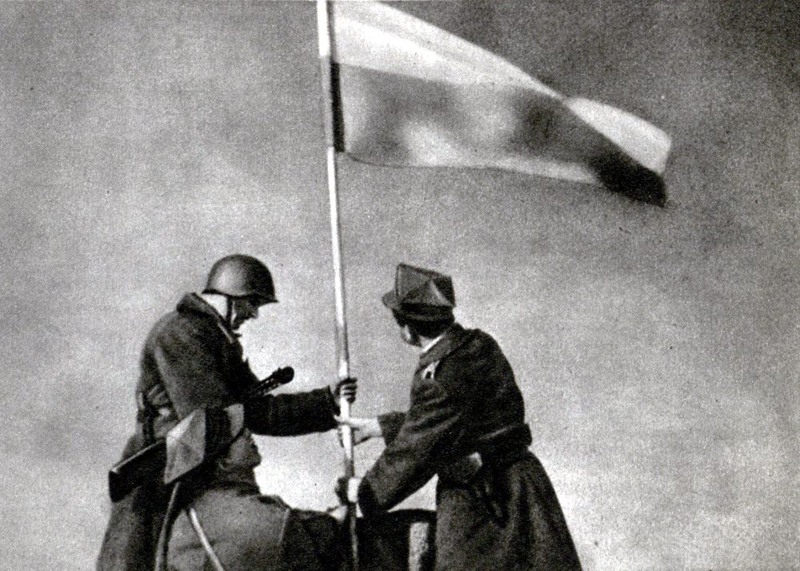 The Poles would not consider passage rights for the Red Army across Polish territory to fight the common foe. This had been the Polish position since 1934, and it did not change even before the peril of an imminent German invasion. When news broke of the Nazi-Soviet non-aggression pact, after the failure of the Anglo-Franco-Soviet negotiations, the Poles shrugged it off. «Really not much had changed», opined Foreign Minister Beck. The Polish «man in the street» in Warsaw, reported the British ambassador, took the news of the non-aggression pact with «a half-amused shrug». «Isn’t Vasily a swine», was a common reaction. Poland’s «folly», the French Premier Daladier said. No novelist could have made up these astonishing stories of Polish recklessness during the 1930s. As a historian, I can assure you that nothing here is invented, as implausible as it all may seem. Read my 1939: The Alliance that Never Was or my more recent essay «Only the USSR has Clean Hands» for the details and the archival references. Russian Ambassador Andreyev said Poland bore some responsibility for the «catastrophe, which occurred in September 1939». Given the archival record, one would have to say that the Russian Ambassador was being polite and understated the case. Polish Minister Schetyna may attempt to «rewrite» history all he likes, but I can advise him that he is wasting his time. The evidence trail in the archives is too deep to hide. It is not a pretty picture, Poland in the 1930s. More introspection and less Russophobia would serve the Polish government well in these dangerous times. Minister Schetyna could start by reading the correspondence of his distant predecessor Beck as an example of how not to conduct Poland’s foreign policy. Only the British bore a greater responsibility than Poland for the failure of cooperation with the USSR against Nazi Germany in the last half of the 1930s. This lost opportunity I call the «Grand Alliance That Never Was».